Bounty hunter Boba Fett can help! Collectible nutcracker measures 10-inches tall. Bounty hunter Boba Fett wants to help you crush those nuts this holiday season… just like he crushes his bounty victims! 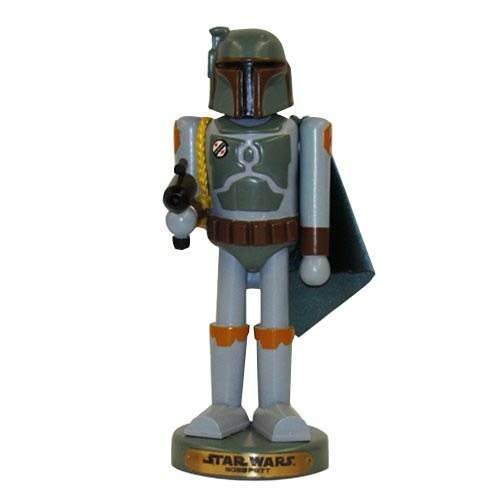 As a handsome, collectible Star Wars Boba Fett 10-Inch Nutcracker, the scum of the galaxy measures 10-inches tall. Ages 14 and up.